Big, bustling cities are magnets for adventure-seekers and ambitious young people. But the grit and flashiness that attract singles to New York, Los Angeles and Miami aren’t necessarily what parents look for in a place to settle down. Young people looking to start a family might do well to look past the bright lights of the big city. Instead, maybe consider a place like Dubuque, Iowa, Manitowac, Wis., or Marquette, Mich. 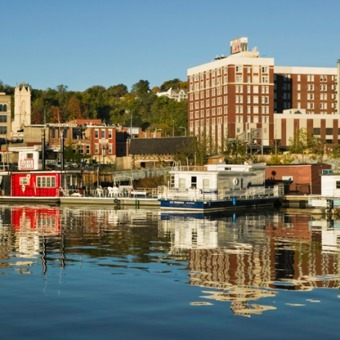 These places boast solid average incomes, good educational prospects, low costs, short commute times and high rates of home ownership–all reasons why they rank as the top three small cities in America to raise a family.